Are your children or students reading below grade level? Do they have either of these reading problems? Do they memorize whole words and guess or skip when they try to read words they don't already know? Or, do they try to sound out new words but they read too slowly and laboriously to keep track of the meaning? These are serious problems that cause poor reading comprehension, prevent students from becoming good readers, and block them from getting a good education. Most students who fall behind in reading never catch up. Poor reading is a problem that holds them back as they get older. It negatively affects their education, their self-esteem, and their future prospects. Whether you are a parent, teacher, or tutor, the Ultimate Phonics program helps you fix serious reading problems such as word guessing or slow, laborious reading. Want to try Ultimate Phonics for free? Many children never become good readers. If you want to insure your young children become excellent lifelong readers, Ultimate Phonics is a great phonics program for beginning readers. When your children or students struggle with reading, it cripples their education. Ultimate Phonics is an excellent remedial phonics program for struggling readers that helps them catch up and succeed. Ultimate Phonics uses a scientifically proven method, consistent with Orton-Gillingham programs, that is ideal for teaching people of all ages to overcome dyslexia and become good readers. English as a Second Language students need to learn how to read with phonics while they are learning to speak English. Ultimate Phonics improves reading and pronunciation for ESL students of all ages. There is no better adult literacy phonics program than Ultimate Phonics. Your adult learners will love the direct, non-insulting design and content. This is an essential tool for any adult literacy group. Ultimate Phonics is an excellent, age-appropriate, high school and middle school phonics program that improves the reading of older struggling readers in higher grades. If you want your young children or students to become excellent lifelong readers, there is no better reading program than Ultimate Phonics. If your children or students are struggling with reading, it can ruin their entire education. Ultimate Phonics helps them catch up and succeed. Ultimate Phonics was originally developed for use by tutors in a reading center. 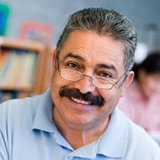 If you are a reading tutor, it is an ideal program for teaching students of all ages. 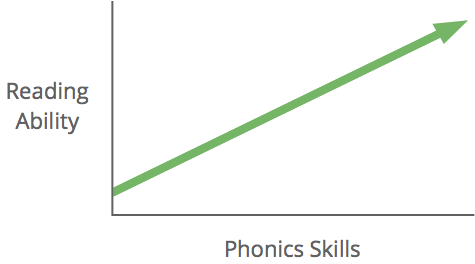 Older students who are motivated to learn to read can teach themselves with Ultimate Phonics. Students with weak phonics skills will never become good readers until the phonics problem is fixed. Ultimate Phonics fixes the phonics problem by teaching strong decoding skills and accurate, fluent reading. Phonics is the foundation of better reading. Mountains of research has shown that phonics skills are the greatest predictor of reading ability, including fluency and comprehension. Unfortunately phonics is difficult for many people unless they are taught properly. Ultimate Phonics thoroughly teaches your children or students the essential phonics skills they need for maximum reading achievement. Ultimate Phonics teaches all the phonics sounds and rules of English. By comparison, many other popular programs are incomplete and don’t do a thorough job. In the course of completing Ultimate Phonics your students read over 4,400 different words and 2,100 sentences, starting at a basic level and progressing to an advanced level. This prepares them to read books and other content at any level. You don’t need any training or teaching experience to successfully teach reading with Ultimate Phonics. All the expertise is built into the design of the software and the structure of our word lists and sentences. Of course, if you are an experienced teacher you’ll love the design and depth of our program. Ultimate Phonics is very simple to use. You just listen to your children or students read all the words and sentences in the program and you’re done! Now they can read books and other reading material independently. Ultimate Phonics is a 100% educational program. Its sole purpose is to teach your children or students to read once and for all. In contrast, many other programs emphasize cartoon game distractions and only teach a little bit about reading. Ultimate Phonics can benefit people of all ages who are beginning readers, poor readers, or non-readers. If you have young children just starting to read you can teach them to be excellent readers at an early age. If you have older children or adults with reading difficulties you can greatly improve their reading ability. Ultimate Phonics is a direct, systematic, intensive phonics program. This approach is widely recognized as the best for teaching dyslexics and other problem readers. At $69.95 for the complete program, Ultimate Phonics is one of the best investments you can make for your children's future. It enables you to give one of the greatest gifts of all: the gift of reading. Ultimate Phonics is a proven program, supported by scientific research, that has been successfully used in thousands of homes and schools over the past ten years. We 100% guarantee that Ultimate Phonics will bring huge improvements in reading achievement for your children or students.